Arise, Dive In, Take Action! 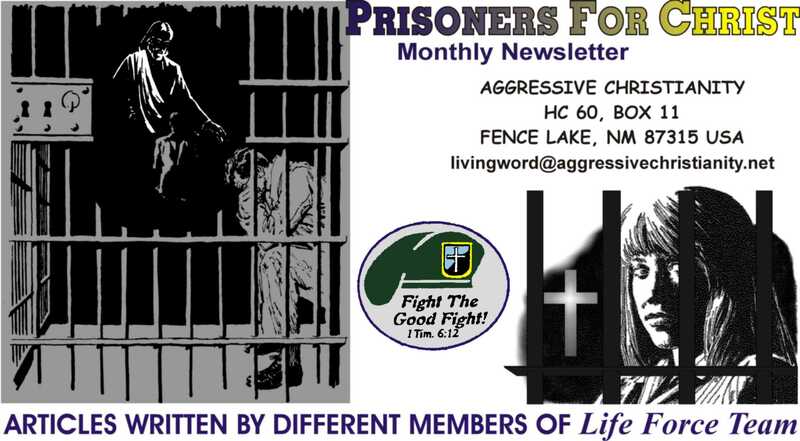 NOTE--to Christians, Muslims, and all others: If you would like copies of our printed PFC newsletters, for yourself or someone you know in prison, please write us at the address below (or e-mail us at the link below with your mailing information). All materials are absolutely FREE. The information in these newsletters will benefit ANYONE seeking truth. More coming! Keep watching for new postings as we update this section!